The week we've all been waiting for! After a well fought-out day in the 2019 Ladies Club Championships, Gilly Tebbutt came out on top once again (for the 41st time). With brilliant play on the day, it's no wonder. Well done to all the ladies who came out and we thank you all for your support. Unfortunately, it has been a sad time for two of our long-standing members. Doc Salie’s wife, Fatima, and Jonathan Hobday’s wife, Carol, have passed away during March. Our heartfelt condolences go to both families. We wish them strength and blessings. They say a pictures says a thousand words, so we put together a whole gallery of the Men's and Ladies Club Champs. Congratulations to all our winners, and to all that participated. Well done! Win a trip to the John Deere Classic 2020! The John Deere Par 3 Challenge starts Tuesday, the 26th of March in Cape Town and Thursday, the 28th of March in Johannesburg. Join the team and don't miss out on the epic battle between North and South. The finals will be held in Cape Town early December 2019. We have loads of exciting upcoming events that you need to be a part of. Watch this space for our Rondebosch Rabbit Run, our John Deere Nine Hole Par 3 Challenge as well as our 2019 Club Championships. Two of my new clients, who were given lesson vouchers for Christmas, played in the Wednesday competition together this week and finished 2nd. Read the full newsletter here: http://bit.ly/2TMnYiJ Two of my new clients, who were given lesson vouchers for Christmas, played in the Wednesday competition together this week and finished 2nd. This week the Ladies had a sponsored day by Glen Turner for Joyce Turner. Pat Algra won on 40 points, so excellent! The lady in the last pic forgot to shave her legs. The winner of the green jacket in the seniors monthly individual competition Graeme Logie being congratulated by the Seniors Captain Frank Maughan cheers Loges. A sincere “apo- Logie” to Loges for the delay in publication. To read more, please follow this link: http://bit.ly/2QxFrgU This week the Ladies had a sponsored day by Glen Turner for Joyce Turner. Pat Algra won on 40 points, so excellent! The lady in the last pic forgot to shave her legs. 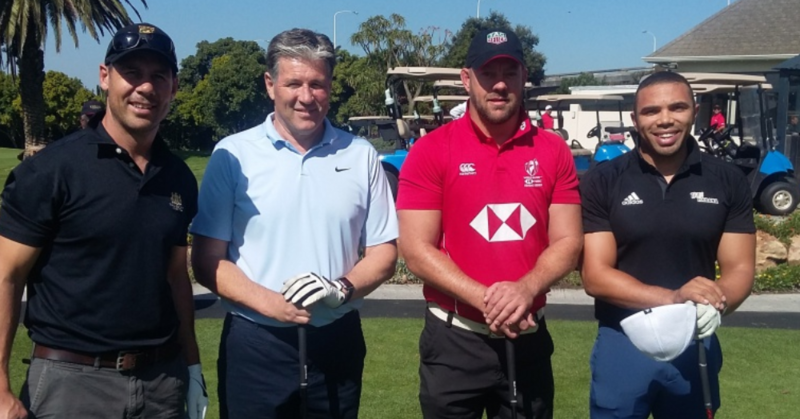 November kicked off with the club’s biggest corporate event, the Spar Golf Day, which is jointly hosted by RGC and KDM. This is probably the biggest corporate day in the Cape with suppliers paying about R40K per 4 ball and no shortage of takers. The event attracted full fields at both clubs. Afterwards there was a dinner at Kelvin attended by 250 golfers, Spar management and guests. Our staff put in a huge effort, everyone enjoyed themselves and our club received very favourable reviews. The highlight of the evening was the handing over of a cheque for R500K to St Josephs Home for children. Thereafter we had a very successful Festival Week with full fields for Seniors day, Ladies day, the par 3 rabbit run, Community Chest day, the Table Mountain Classic and Festival Saturday. The Classic was a particular highlight with Tanglewood, featuring our GM Don Ball on guitar and vocals adding hugely to the festive vibe. Our president Mike Heath was a very effective M.C. and auctioneer. A week like this requires a lot of hard work behind the scenes from staff and members. There were a few mistakes, but these need to be seen in context. Thanks to all members who contributed in so many ways by taking part, sourcing prizes, buying raffle tickets and bringing their friends and clients to play at our club. We are introducing Junior Coaching Programmes at Rondebosch, commencing in October, in an effort to grow junior membership. To find out more, follow this link: bit.ly/2xDIhVR We have a jam-packed week coming up for The Table Mountain Classic. Stay tuned to our website and newsletters for more information on these upcoming events! Read our newsletter here: http://bit.ly/2LT7OPV Fantastic specials in the shop this week in celebration of the new season and we also give you a good tip on how you can play the 6th hole when the wind is blowing. So too, we should all take a moment to contemplate the many of our womenfolk and girl-children who suffer many and varied hardships – often at the hands of those closest to them. Let us not be still or stand idly by in the face of any abuse. Let us celebrate together the women in our lives. We are hosting a Junior Open Day on the 22nd of July and would love to see some of your children there. Bring the whole family out for a day of fun and learning a game for life! Does your kid like to be outdoors and playing sports? Why not get them into a game where they can be outdoors, having fun with friends while learning this great game? Read more by following this link: https://bit.ly/2yjMKAy The clubhouse has been fairly quiet this week, with the (much-needed) rain keeping the rounds down. This weekend we have delicious winter fare on offer. 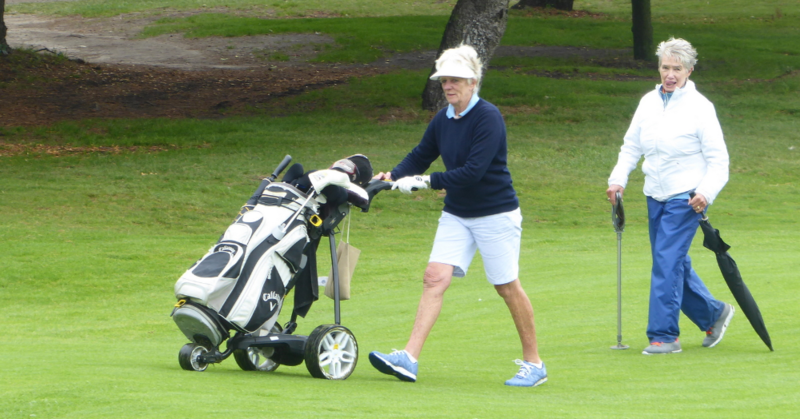 Read more by following this link: https://bit.ly/2GO2z1G We has a surprise visit from a legend on this glorious Friday morning: Gary Player and his grand-daughter Becca, popped in for a round at “Cape Town’s club of choice”. 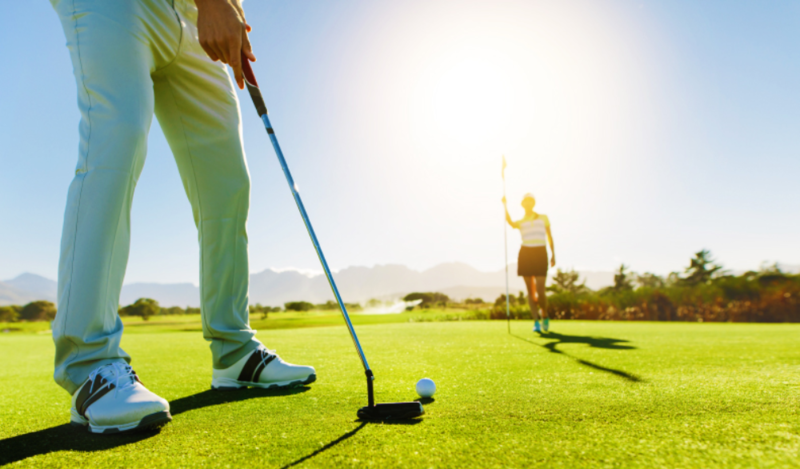 We look forward to seeing you out on the course! It’s not too late to book a time for today…the course is open and looking beautiful ??? ?